There is nothing that will increase your strength and your character like the wilderness does. It is God’s gym; he works you out on his equipment. Good things will happen to all who will work-out. The desert becomes a place of separation and resolve. It is not for the faint of heart. This spiritual geography is also the launching pad for ministries: for Jesus’ public ministry was 40 days in the wilderness — the training for Moses’ powerful leadership of God’s people was 40 years in the desert — and maybe why you are serving your time in the wilderness, right now. It has to be. It is your place for this moment. Once in the desert, the Father keeps an “ultra-close-eye” on all his children. At times of strenuous activity/emotion–he comes and then he carries us. He is exceedingly gentle, and he knows precisely what we need, and he sure doesn’t stint on his grace–he pours it out lavishly. We seem to always be on the anvil; in the wilderness where God is shaping us for higher things. But, by faith, it is a rich place to be. Now on the final and most important day of the feast, Jesus stood, and He cried in a loud voice, If any man is thirsty, let him come to Me and drink! The strangeness of this metaphor has never really been resolved in my thinking. There is one other which strikes me as incredibly odd; it is when Jesus declares that He is “the Bread of life” whom we must eat. With both of these I’m content right now to think that I am reaching through a cultural airlock, and things will resolve. It isn’t doubt, I’m just content to wait for it to be sorted out. I’m certain it shall be. But I cannot minimize these declarations, and their significance. 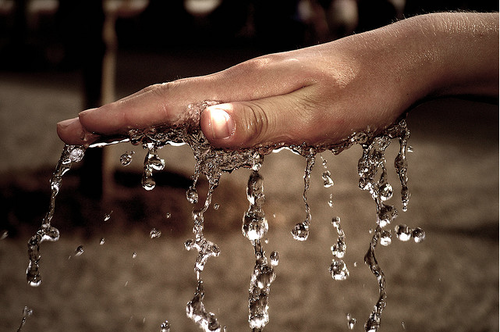 “I am the Water for this parched world. Come with your buckets and cups.” If we but think about this, there is an implied exclusivity. He has everything we need. And there is no one else. Also reading the text over again, I’m struck by the setting for this announcement. I lived for three years in the deserts of Baja, Mexico. I learned about heat, and the exquisite value of water, and savoring it to the last mouthful. I saw spring rains soak the desolate terrain, and saw the awesome results of a blooming desert. And it was all about the water. The world has been confronted by the real spiritual, and most don’t even understand this. But yet we all know there exists a powerful thirst. And thirst, is perhaps the best word to use. We walk through life parched and dried out, and nothing we’ve tried to drink has helped. There has been a joint effort by many brilliant minds, but it has completely and definitely failed. 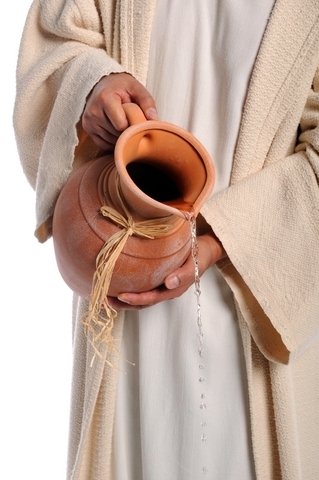 Isaiah the prophet used the imagery of thirst. He has shown us that thereis somewhere (or more precisely “someone”) who has the fantastical ability of meeting our needs. I can’t say a lot about the “wine”, (but I’m sure it’s something good.) And the milk? Well growing up in rural Wisconsin, I drank lots and lots of wholesome raw milk, straight from the cow. With the cream four inches thick in our gallon jar. It was grand, I loved it! When we follow Jesus, He provides what we need. When I come, as one of His flawed ones, He pays extra attention to me (at least that is what it feels like). Satan’s lies fall away, and my understanding grows as I drink Jesus.